I came across a question on StackOverflow.com yesterday. 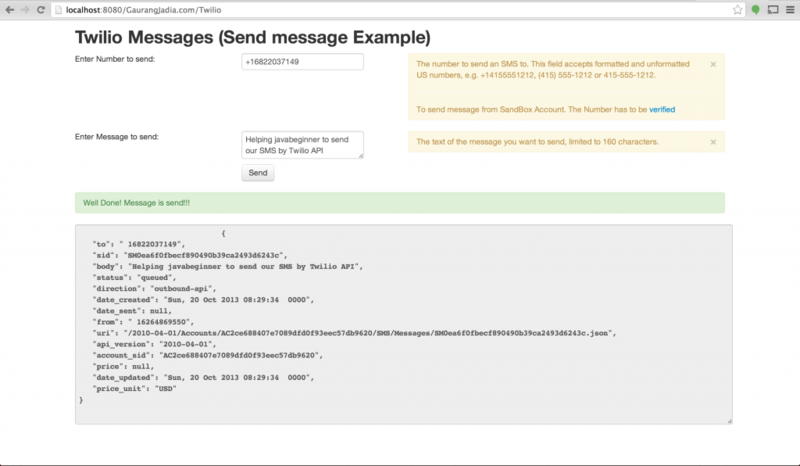 As, I have used Twilio API to send SMS and do Phone Call many times. I signed up to help the OP. I wrote this class to generalize any Web Related Helper Methods. To output property, I used Bootstrap 2.3.2 in following JSP. The text of the message you want to send, limited to 160 characters. Well Done! Message is send!!! If you get all things working, the output would look like this.